Built-in bars make a perfect addition for both a classy and fun entertainment space. Bars can be integrated with kitchens or can be emphasis areas in other common spaces or basements. Even with limited space, overlooked nooks or spare spaces can often be converted into creative bar areas. 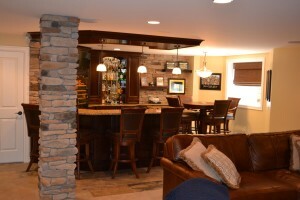 Since home bars are fun and creative elements, LJ’s often incorporates specific customer ideas. Our designers love to be challenged with unique ideas, and enjoy seeing these ideas come to life. 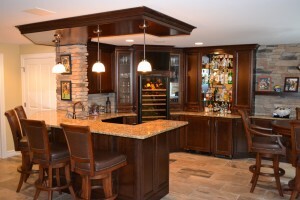 We can incorporate various amenities like wine coolers, kegerators, refrigerators, ice makers and custom storage for both wet bar and dry bar products. We take great pride in the creativity of our completed bar projects and would love to talk to you about your dream project! When it’s unique it’s yours! Imagine having the perfect layout for entertaining friends and family. The right bar can make all the difference. 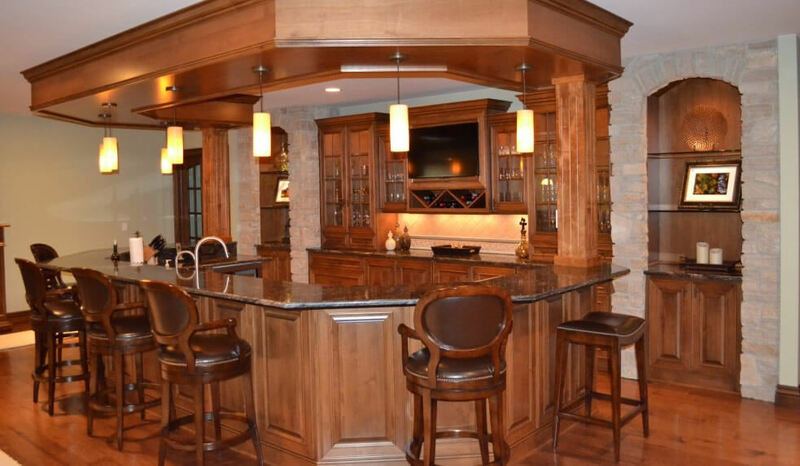 Our designers will give every attention to detail for your custom bar. Call us to schedule a showroom visit today! Wow your guests with one-of-a-kind style. Style you can only get at LJ’s. Style starts with great ideas. Great ideas become great design. Call today and share your ideas with us! We can show you all the possibilities in our showroom and make that idea become reality.